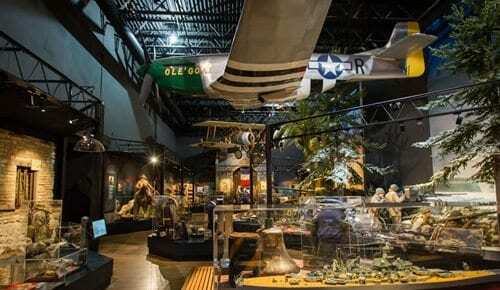 For more than 100 years the Wisconsin Veterans Museum has preserved the memories of Wisconsin’s military veterans. As a member you will experience what makes the Wisconsin Veterans Museum a special place – great exhibits, educational offerings, and special events. Best of all, you’ll join a group of individuals who value the legacy of Wisconsin’s military veterans as much as you do. We are excited to offer PLUS membership levels which include Smithsonian Affiliate Membership - two memberships in one!